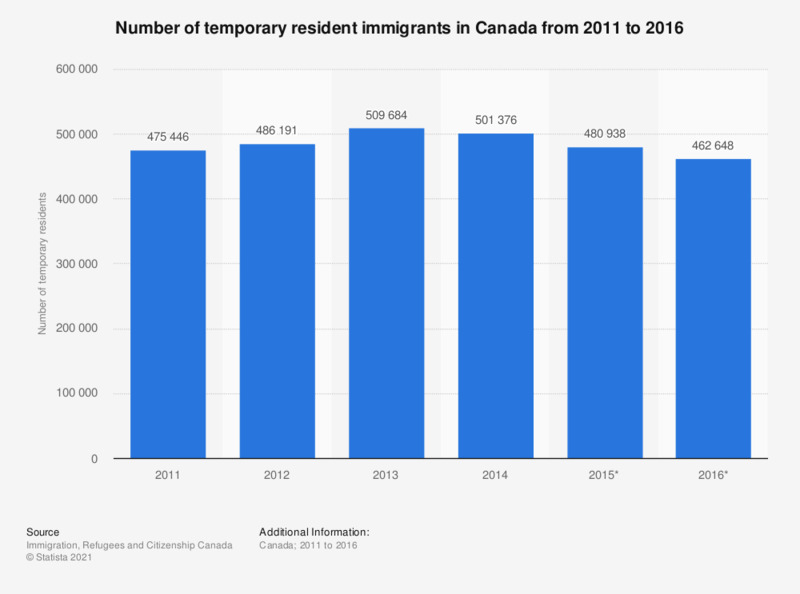 This statistic shows the number of temporary residents in Canada from 2011 to 2016. In 2016, about 462,648 temporary residents were estimated to live in Canada. Do you believe that the Jus soli citizenship right is an act of ethnic replacement? The Senate canceled the vote on the Jus soli citizenship right bill from the calendar. Are you in favor or against the draft law on citizenship rights? Do you agree with giving Italian citizenship to the parents of children who are granted the Jus soli citizenship? Jus soli citizenship rights are being discussed at the Senate. Do you agree with giving Italian citizenship to children born on Italian soil from immigrant parents? Do you think that those against the Jus soli citizenship right are racist? Do you agree that the Jus soli citizenship right bill should be passed by the end of this legislature?